Warmer weather is coming very soon and if you are looking for ways to incorporate promotional products with your marketing themes this year, now is the time to start ordering. People spend a lot of time outside during the summer months and there are many ways you can meet their needs while also helping your brand awareness grow in your communities. Outdoor promotional products are great for the summer and we have the perfect ideas to help you get those creative juices flowing. Sunglasses. Everyone loves sunglasses in the summer and if you have any outdoor events, it is a great way to ensure that people can protect their eyes while promoting your company at the same time. You can choose sunglasses in bright colors or tone it down depending on your crowd and target audience. Towels and Blankets. These are great products for any sports events you may be sponsoring or even if events in a park. People will end up using these all summer long for their fun outings with friends and family and every time they use the towel or blanket, you get more exposure to their guests and any other people that may be in the area. Chairs. While this may a slightly more expensive option, it is also an option that will likely get a lot more use for your target audience. The more people use these, the more people will see your brand. You can give these promotional folding chairs away at tailgates, summer sporting events, and more. The opportunities are endless and people will likely use them over and over again throughout the summer and beyond. Games. If you are looking to attract a younger crowd, then branded games are right up your alley. There are so many items to choose from including frisbees, dart rockets, and even jump ropes. You can get a combination of games or choose to focus on one. Ideally, you will want to give these out in areas where they can be used by your target audience. BBQ Items. Want to appeal to men? Why not provide some custom BBQ items that they can use at the grill this summer. They will likely even use these with their friends so you can get your brand in front of more of your target audience. 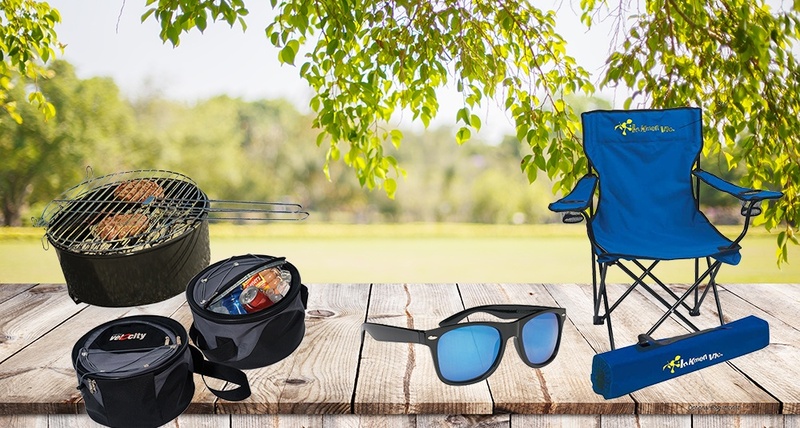 There are so many options for you to choose from and you cannot go wrong as long as you get some summer themed outdoor items for your target audience to use. For more ideas and to see what is available, be sure to check out Promotion Pros.